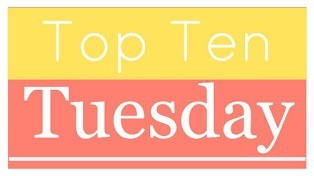 It’s been quite a while since I’ve linked up for Top Ten Tuesday! This week we’re talking about our favorite beach reads. I’m not a big beach person—we don’t have a lot in the traditional sense where I live—but I am all about lying in the hammock in my backyard with a good book and a tall glass of iced tea! I don’t really stick to any particular genre or style of book when picking out beach reads. They just have to be so compelling you can’t put them down, and they should be something that’s not too serious—no nonfiction exposes or tear-jerking fiction. Also, they should preferably be in paperback. Hardcovers are too heavy for casual summer lounging! So, here are ten books I plan to tote out to the hammock this summer, and quite possible devour in a single gulp. 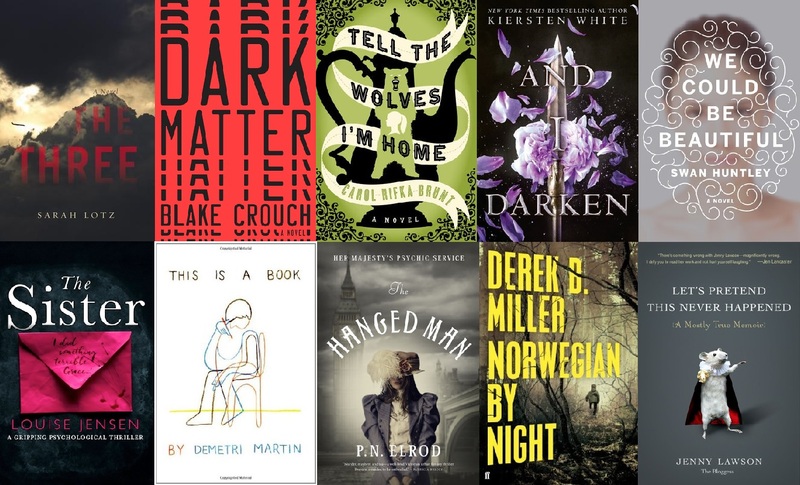 I’m sure there are many, many more to be found in the depths of my TBR list but these are just some of the more recent, off-the-top-of-my-head titles. 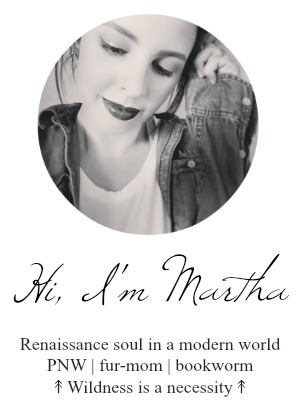 I’ve linked here to the Goodreads pages for these books so you can look up the blurbs and add them to your own TBR lists! If you have any other beach reads you think I might like, be sure to leave me a comment and let me know! “Electric Love” got massive airplay here a while back but for a long time, for the life of me, I couldn’t think of who Garrett Borns sounded like to me, musically and vocally. I just knew his music was getting stuck in my head. After I listened to Dopamine a few times it hit me: he’s the male version of Lana Del Rey. Their lyrics are a little alike; the music hits a similar vein; and while her voice dips super-low for a woman, his drifts high for a man. I could see them working together on a project, couldn’t you? I think this is going to be my new summer obsession. 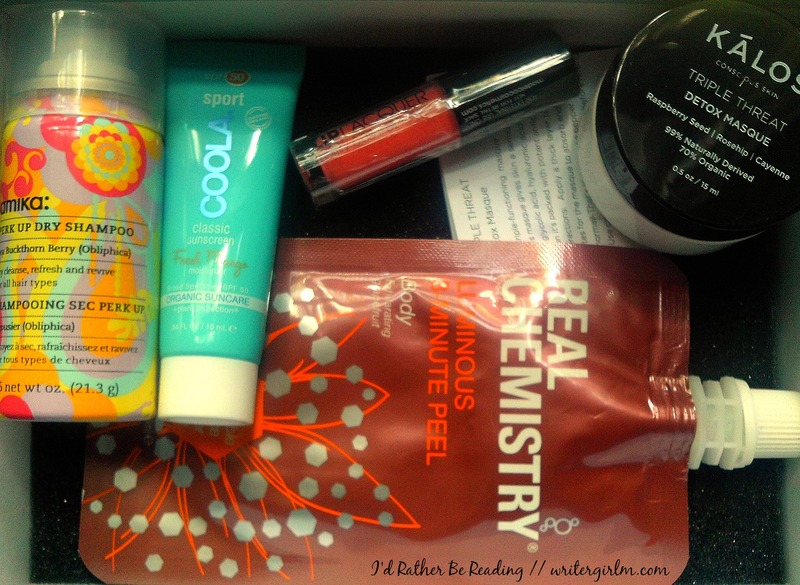 It’s time to unbox my May 2016 Birchbox! I completely skipped out on unboxing my Birchbox in April but I didn’t forget this month. When I first signed up for this box six months ago I didn’t expect to be wowed, but so far I’ve been very pleased with each month’s box. Almost all of the samples have been veg-friendly (and many are Leaping Bunny certified); there’s a good mix of skincare, hair care, and color cosmetics; and with the luxe skincare items and seasonal makeup items, I feel like I’m getting a good deal for my money versus shopping at Ulta and trying to decide what product will work best for me. Plus, not only does the box value always massively beat the $10 monthly fee—many of the products are deluze samples of very pricey items I could never afford to try otherwise—that fee is cut in half by the points I earn for rating the items in each box on the Birchbox website. I get $5 worth of points from each box to redeem on the site toward full-size versions of the products I love—the only hard part is picking which ones I want! It all works out to a hell of a deal. 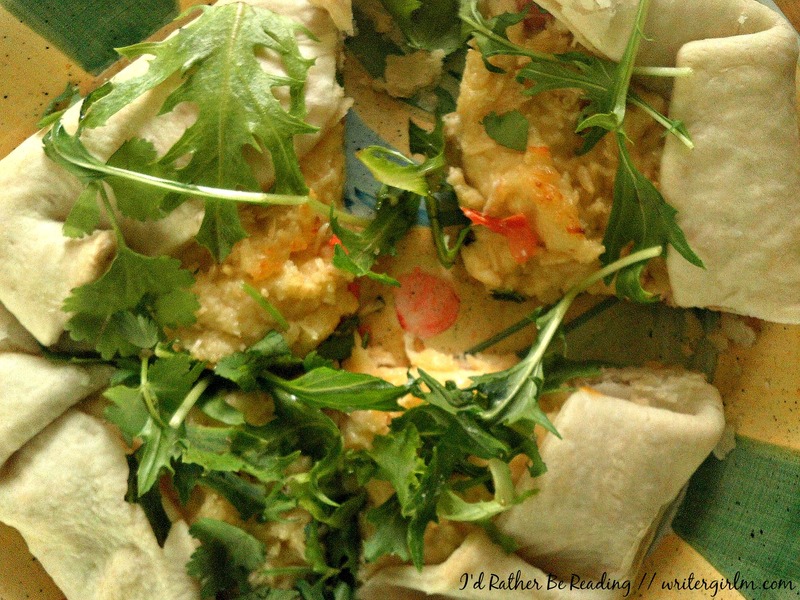 Read on for a peek of this month’s products!